I bet most of you beauties are oh-so ready to jump in the beach waves, spend hours in the sand and under the heat of the sun. But that could lead to tan lines and/or sunburn, so never forget sunblock! However despite usage of such products, exposure to too much sun may still result to a darkened skin tone. Good thing, that problem is no biggie because there are whitening soaps in the market which can help you in bringing back your original skin tone. My favorite whitening buddy? Kojic soap. I know that there are lots of unbranded kojic soaps in the market. I even encountered scrap kojic soaps in some mall stands. However when it comes to skincare it is important to use only the original kojic acid soap to ensure that you'll get results with every wash. Only the original kojic soap made by a reputable brand can give you peace of mind. By reputable, I can only think of one brand name: Kojie.san. Kojie.san is the first kojic acid soap to be commercially available in the Philippine market. I can still remember Alodia Gosiengfiao as one of their first endorser (I really really like her!) 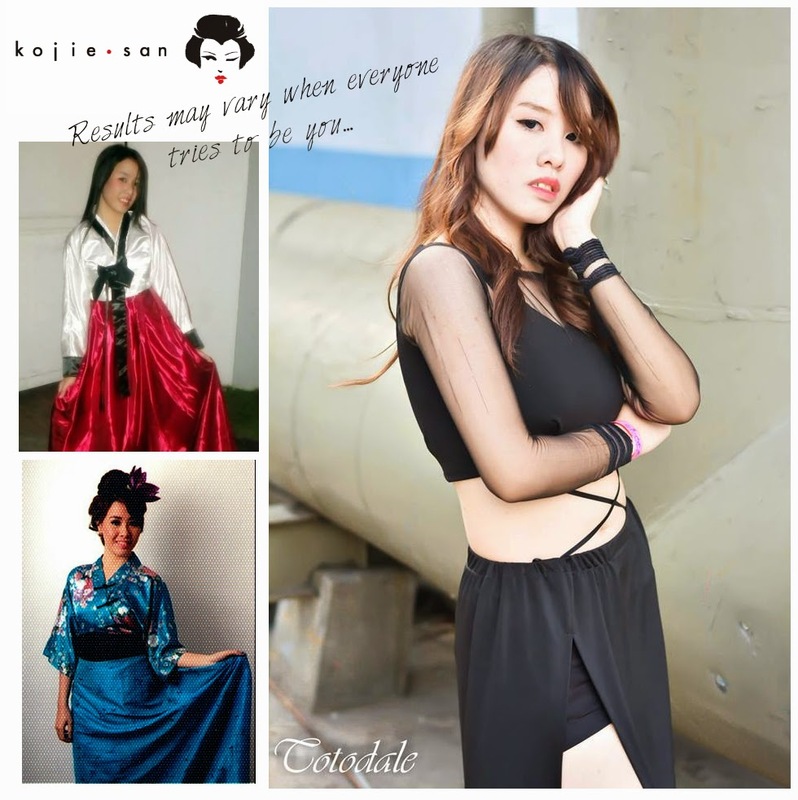 I am actually one of the first buyers and users of Kojie.san and still a user! All I can say is they managed to really maintain the quality of products throughout the years. Hellamazing. Simplicity is beauty. 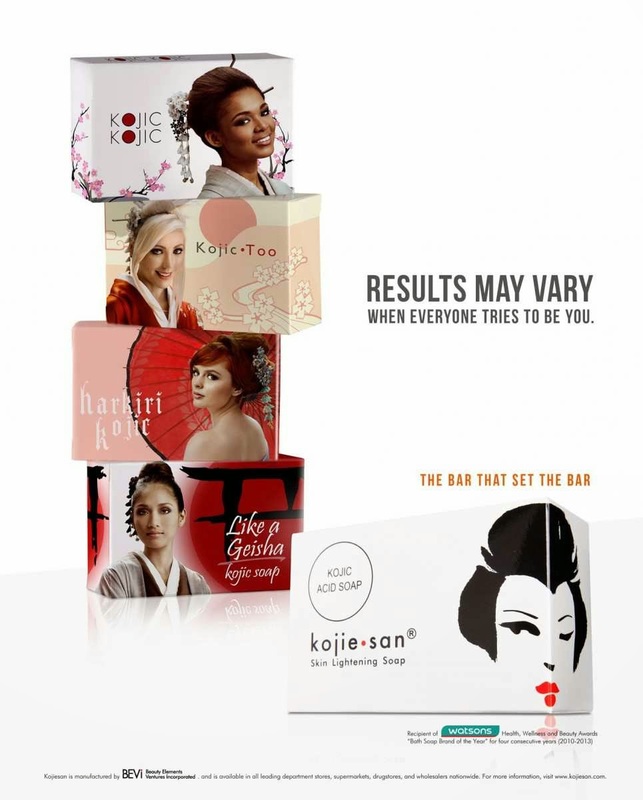 The white box with the image of a geisha on the side is eye catching. It is also economical to buy two soaps at a time. Upon usage you will feel a tingling sensation (a sign that the product works!). It is quite drying (well expected because it is an acid soap), my skin feels a bit tight after using it. However dead skin sloughs off after a week of usage because Kojie.san has a micro peeling effect, which makes it a potent whitening product. However do not worry because it does not contain any harmful chemicals. It contains antioxidants and 100% all natural ingredients. I use Kojie.san not just for maintaining my skin tone but also for removing dark spots left by bug bites on my legs and arms. It is definitely working, the result is gradual but it gave me a glowing type of fairness plus an extra smooth skin too. Kojie.san deserves an A++ rating!